The Cotswolds area is one of England’s favourite destinations, famous for hundreds of honey colour limestone villages in a beautiful rural setting. For lovers of the retro and vintage, the Cotswolds is a delight, full of experiences, inspiration and shops that you just can’t find anywhere else. Our hotel is the four star modern, contemporary Cheltenham Chase Hotel located on the edge of the Cotswolds between Cheltenham & Gloucester and is in a great location for exploring the local area. Enjoy the delights of Moreton in Marsh, Bourton-on-the-Water and many others plus a trip back to a bygone age on the Gloucestershire-Warwickshire Steam Railway. All this as part of a fantastic itinerary to ensure that this is a truly wonderful holiday. The four star Cheltenham Chase Hotel boasts 122 bedrooms and all are stylishly furnished in rich, warm colours, providing an inviting atmosphere. All rooms are fully en-suite, spacious, beautifully decorated with modern furnishings, comfortable and include free internet access, trouser press, tea and coffee making facilities, hairdryer, remote control TV with selected Freeview channels and in house movies, direct dial telephone, air conditioning, safe and fridge. 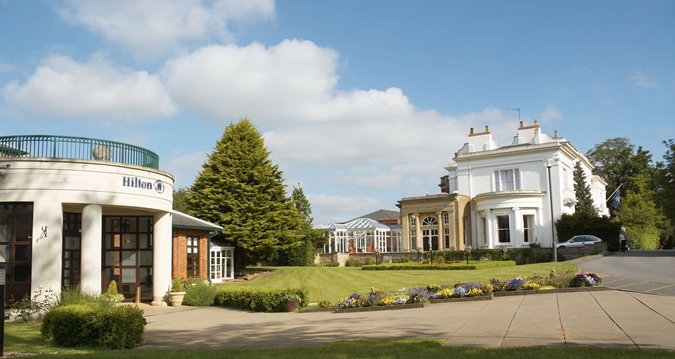 The hotel also offers a fantastic health club and spa and the restaurant offers views over Coopers Hill, the venue of the famous Gloucester tradition, the cheese rolling chase. DAY 1 – We make our way to our hotel with a lunch stop in Newbury. DAY 2 – Moreton in Marsh is a traditional Cotswold Market Town with its wide main street and wide grass verges and today is market day. Just a short journey away in Broadway, the jewel in the Cotswolds, where we spend time before boarding the Gloucester Warwickshire Railway to enjoy a train journey to Cheltenham Racecourse Station. DAY 3 – A day spent in historic Cheltenham then onto Sudeley Castle and Gardens. DAY 4 – A scenic tour of the Cotswolds, first stop Burford with its main street sloping down to the River Windrush. Through the Rissington Villages and site of the Red Arrows first home to Bourton-on-the-Water often referred to as the Venice of the Cotswolds where we spend time before making our way to Stow-on-the-Wold later in the afternoon. DAY 5 – Sadly it’s time to go hone but on the way we spend time in historic Oxford. Discover the perfect holiday destination of the Forest of Dean and the Wye Valley, an area of outstanding natural beauty. Offering an opportunity to escape the stresses of modern day life in a peaceful, relaxing haven, this holiday with our fantastic itinerary touring the many beautiful towns and locations in the Wye Valley region, along with the superb bowls and golf facilities offered at the hotel make for a memorable holiday experience. Quite simply a beautiful part of the country to explore. 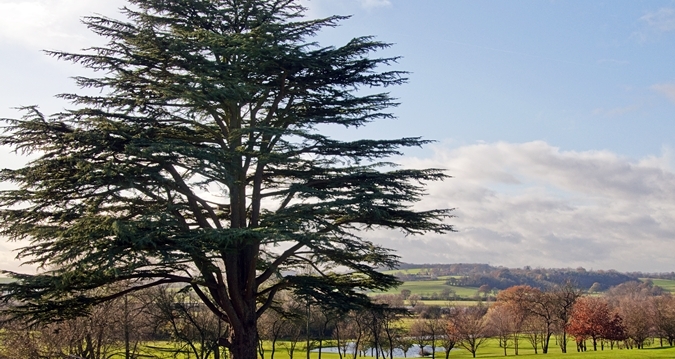 The Bells Hotel, nestled in the grounds of the Forest of Dean Golf Club, is a place to relax, unwind and explore the local area. The hotel has a traditional, historical feel that is coupled with modern facilities to ensure your stay is an enjoyable one. All rooms are clean and comfortable and include television, hair-dryer, telephone and tea/coffee making facilities. Please note that some rooms are situated on the first floor and involve steps.